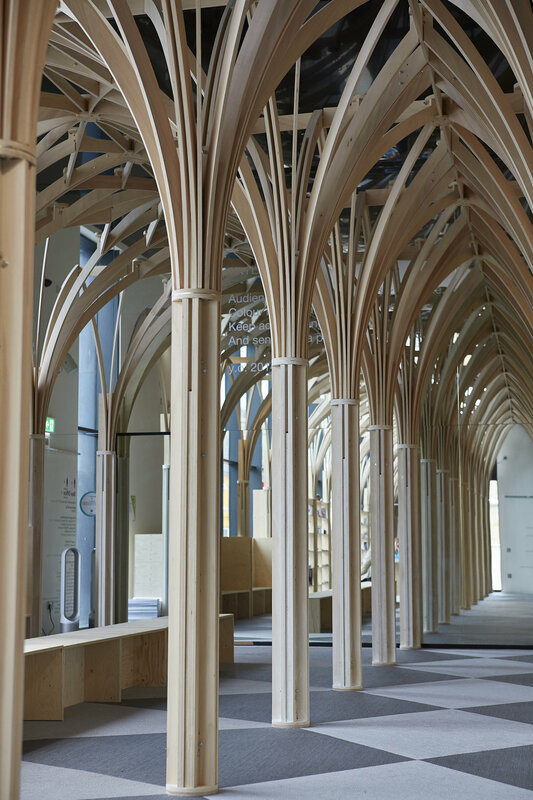 We are pleased to announce that our Folkestone Triennial project The Clearing will now be a permanent installation as part of the Folkestone Artworks Collection and is open to the public to visit at the Quarterhouse in Folkestone. Here are some new photos of the space by photographer and friend of the studio Philip Panting. The project was featured in Dezeen, Wallpaper magazine and the Observer / Guardian newspaper / Frieze magazine. We are excited to announce the opening of our latest project, a public artwork that also serves as the hub space for this years Folkestone Triennial and was commissioned by the Creative Foundation. The Triennial runs from 2 September to 5 November. It has been featured in Dezeen, Wallpaper magazine, the Observer / Guardian newspaper, and Frieze magazine. We have made a short film of the making of our project for the Folkestone Triennial titled The Clearing.